This really is such an exceptional hotel that, although no longer a working farm, I just had to include it. The scenery from the rooms, the terrace, the restaurant is impossibly beautiful and impossible to do justice to in words or pictures. 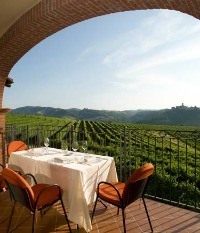 The food in the restaurant is memorable and levels of service are unsurpassed anywhere in Piedmont. One of the loveliest hotels in the midst of the loveliest wine country you'll ever see. What are you waiting for? Click here to reserve your corner of paradise even if only for a night or two. Boutique Winery meets boutique bed and breakfast. Here in the heart of Barolo wine country you'll get to try the very best wines of Piedmont, all the great Piedmont varieties are produced by the Rocche Costamagna winery. The owners love wine with a passion and it seems they have put the same passion and love into this bed and breakfast. Nothing is too much trouble. If you enjoy your wine they'll be as excited as can be to share their love and knowledge of the Langhe wines and their terroir, which is one of Italy's greatest. For more details and booking information click here. Piedmont is one of the loveliest parts of Italy. 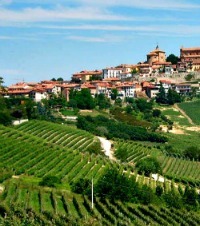 For more on this region, my home for nearly ten years, please visit my site dedicated to Piedmont Italy. 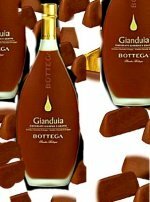 Return from A Winery stay in Piedmont to the Best Italian Wine home page. 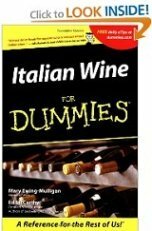 Whatever you are looking for, if it has something to do with Italy or Italian wine, you'll find it using the search engine below. 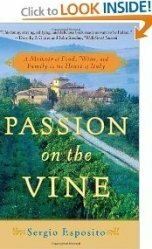 Have a Wine or Vineyard Tale to Share? 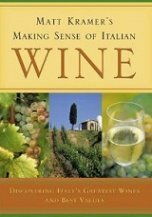 Do you have a great story about Italy, Italian wine a particular wine estate or wine region? Share it!